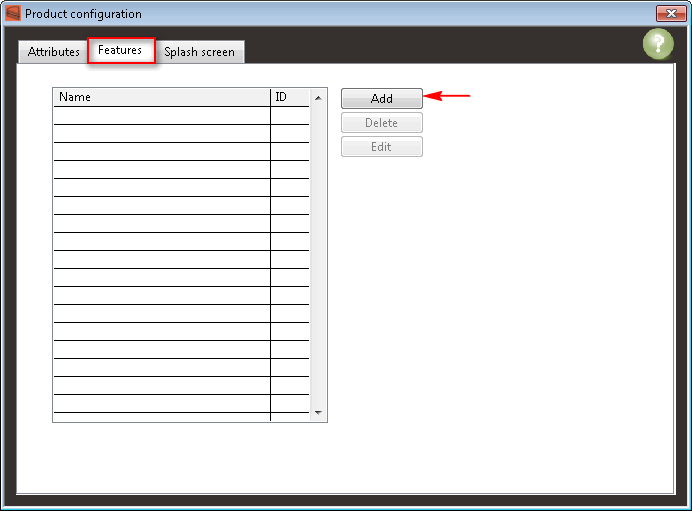 Product features are useful if you want to enable or disable particular features of your LabVIEW application. You can for instance sell 3 different variations of your product: Base, Full and Pro. Depending on what your customer purchased, you will define the correct features permissions for his license. Follow these instructions to manage your product features. When you have created and configured your product features in BLT, you must use the BLT API for LabVIEW to enable or disable certain portion of your code. •Click on Add to add a new feature for your product. oID: This is the unique Identifier for this product feature. You cannot change it and you have to use it to identify reliably your feature with the BLT API for LabVIEW. oFeature name: This is the friendly name that defines your feature. oCustom attributes (optional): They are useful if you want to automate features handling in your application. For instance, you can store VIs name that you want to disable in Custom attributes 1 and Controls name that you want to hide in Custom attributes 2. 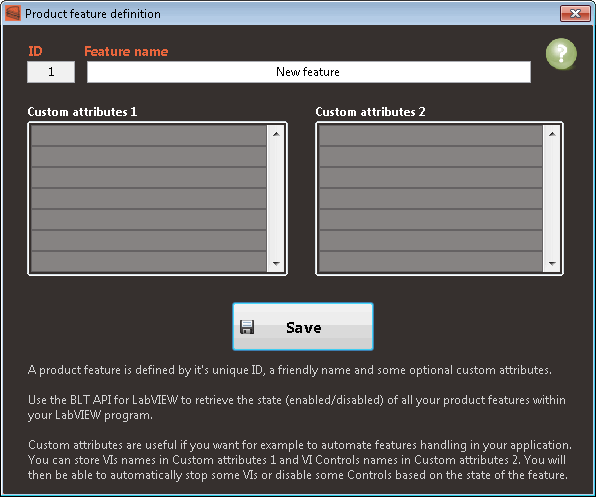 Then use the BLT API for LabVIEW to retrieve the state of the feature and programmatically handle them.